When it comes to managers, it is pretty well-known that different managers have different styles. There are those managers that like open attacking football and aim to score one more than their opponents, regardless of how many their opponents score, while others prefer to keep it tight at the back and grind out low-scoring wins. Obviously, bookmakers know this just as well as the punters do, but I thought it would be interesting to look at whether it would be possible to look at particular managers and back either over or under 2.5 goals on a regular basis and make a consistent profit. In this article, I am going to focus on La Liga in Spain. Using data from football-data.co.uk, I have taken every match since the start of the 2012/13 season up until the end of the 2015/16 season, so a total of four seasons of data. There are 34 managers that have managed for at least a season (38 games) in this period, so let us focus initially on those. Just two managers have managed for the entirety of the four seasons or 152 matches - Atletico Madrid's Diego Simeone and the former Rayo Vallecano and now Granada manager, Paco Jemez. As a contrast in managerial playing styles, there could not be a more divergent pair. 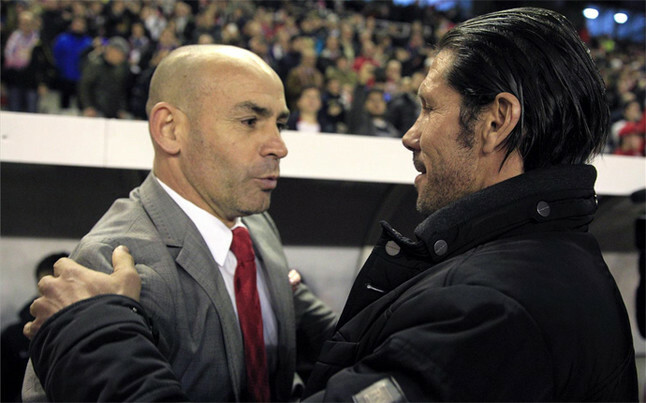 In those 152 matches, Diego Simeone's matches have averaged 2.47 goals per game compared with 3.16 for Paco Jemez. 84 of the 152 matches that Diego Simeone has managed in this period went under 2.5 goals, while 95 of the 152 matches for Paco Jemez went over 2.5 goals. We would expect the bookmakers to know this though and adjust the odds. However, did they adjust the odds enough? It would seem that the answer is no. Had you backed Under 2.5 goals in every match that Diego Simeone had managed in La Liga since the start of the 2012/13 season, you would have made a 9.0% profit over the four seasons. Similarly, had you backed Over 2.5 goals in every Paco Jemez match, you would have made an impressive 15.0% profit in the same period. Looking in slightly more detail, the vast majority of the return for Diego Simeone actually came in away matches. Simeone has actually seen over 50% of home matches go over 2.5 goals during this period and backing Under 2.5 goals would only have returned 2.9% in home matches. However, away from home, it is a different story. In these matches, backing Under 2.5 goals would have returned a huge 15.1% profit, which suggests that the bookmakers have consistently underestimated Atletico Madrid's tendency to grind out low scoring results away from the Vicente Calderon. In contrast, backing Over 2.5 goals in matches involving Paco Jemez seems to show little difference whether the team is playing at home or playing away. At home, it would have returned an 18.2% profit, while away from home, it is slightly lower, but still an impressive 11.8%. Further down the list, a couple of names stand out. The former Villarreal manager, Marcelino, would have returned 15.1% from Under 2.5 goals, driven by low-scoring games both at home and away, while Fernando Vasquez, Joaquin Caparros and Eduardo Berizzo have also shown profits of above 10% from the Under 2.5 goals selection. In contrast, despite regular short-odds on Real Madrid scoring more than 2.5 goals, backing Over 2.5 during Carlo Ancelotti's reign would actually have returned 10.6% profit with 59 of 76 matches going over the line, while Unai Emery would have returned 7.7% profit from Over 2.5, driven particularly by matches at home. Fran Escriba is a particularly interesting case. The former Elche and Getafe manager, who is currently at Villarreal appears to be nothing notable when you look at the overall figures. Indeed, a very small loss on both Over and Under 2.5 goals almost suggests that his matches are priced up accurately. However, if you split it down to home and away matches, there is a big difference. Backing Under 2.5 goals in matches than Escriba has managed at home would have returned a massive 31.0%, but away from home, backing Over 2.5 goals would have returned a similarly huge 27.2%. It seems that he oversees high-scoring away matches, but keeps things very tight at home. It might be one to watch at Villarreal this season. This is obviously pretty basic analysis and it does not take into account anything apart from the manager. However, it throws up a few interesting angles that it might be worth thinking about when it comes to looking at the Over/Under 2.5 goals market in Spain. Which T20 Batsmen Are Fast Starters? Who are the best T20 Bowlers in World Cricket?